Homes & Residences Expo Opens Today!! 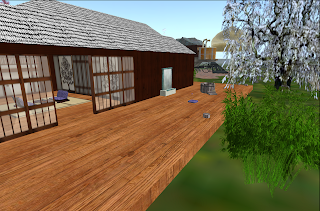 The First Annual Homes & Residences Expo is being put on by a group of hard working folks out to showcase some of the beauty and skill in InWorldz. 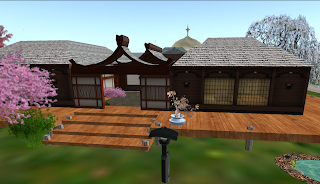 The show opens today, August 31 @ the Inworldz Events A, B, C, and D regions. You can find them on your map easily. Talon Faire is honored to have been invited early on and we have been slaving away to produce the best we can! Find us on Lot 27, by the way. Presenting Kazumi - 和美 - Beautiful harmony, in Japanese. 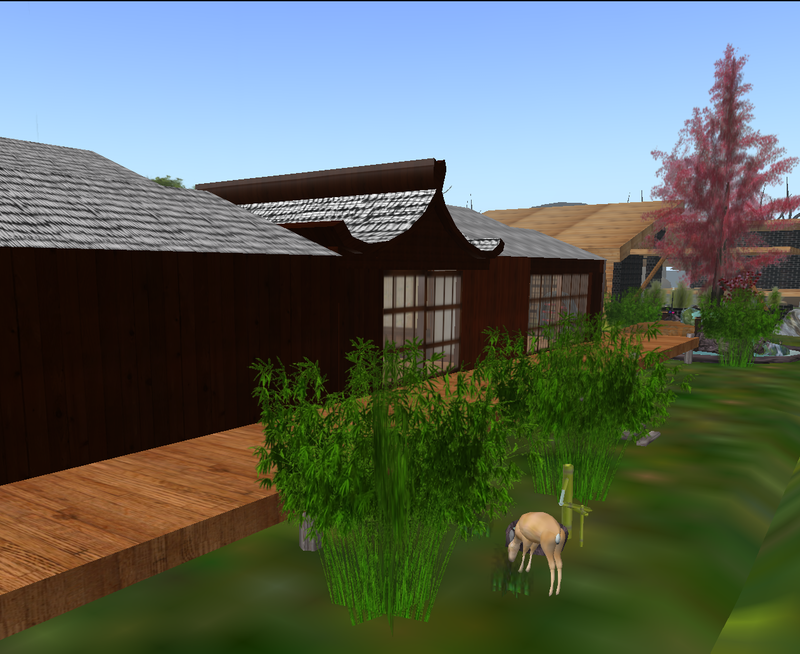 We feel this Japanese style home represents that balance so characteristic of the Land of the Rising Sun. 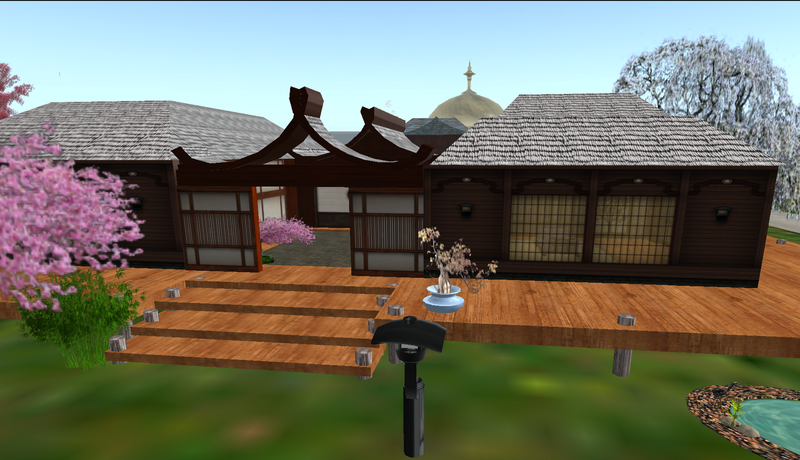 Note also, that while adhering to the simple lines so indicative of Japanese style, there are certain nods at Western styles as can be seen in some of the furnishings around the home. This house would be equally fitting at the foot of Mt. Fuji as it would be over looking the California coast. 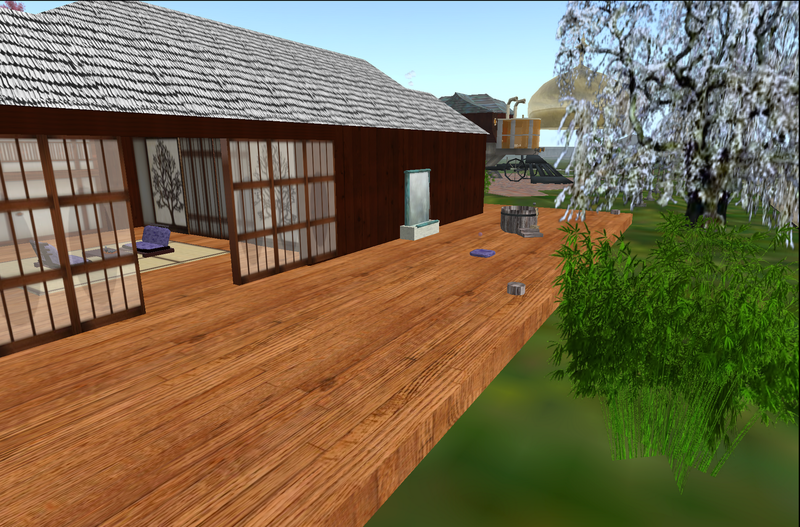 Please come visit all the wonderful creations the Homes & Residence Expo has to offer and see Talon Faire's own humble submission. 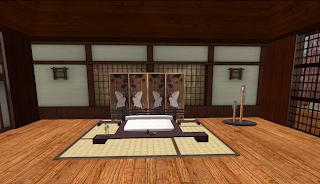 All items on display in the home that were created by Amaranthim Talon, are available for purchase, either at the home's Catalogue Room or at Talon Faire. We invite you to take an LM from the convenient giver at the door of the sales room. Talon Faire wishes to express a special thanks Artfox Daviau for the lush foliage and John Mahogany for the fauna.